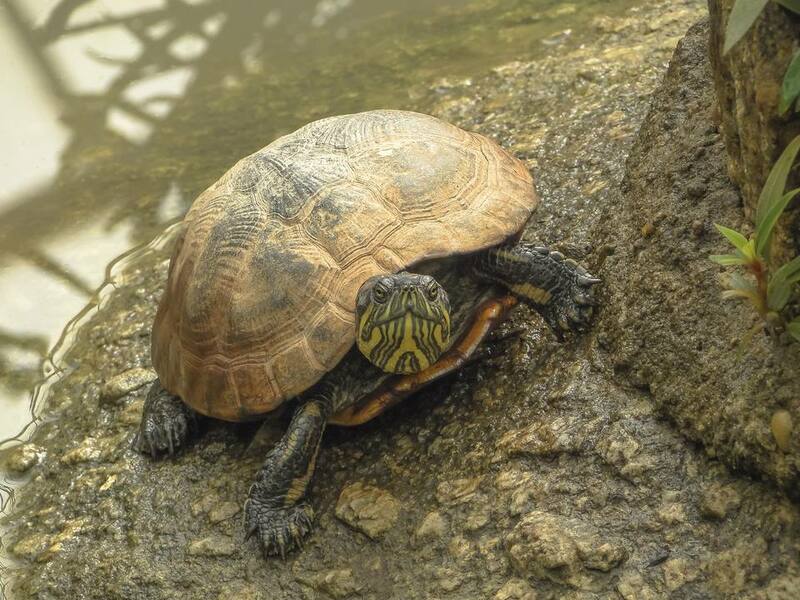 Respiratory Disease: Turtles and Tortoises Catch Colds? Similarly to a person catching a cold or getting pneumonia, turtles and tortoises are prone to developing respiratory infections. While our pet turtles don't have play dates with other turtles that are sick, they are often subjected to an environment that may cause them to get sick. How Does a Turtle or Tortoise Catch a Cold? Transporting your turtle when it's cold outside can also cause it to get a chill and fall ill as well as shared air space with a sick turtle or tortoise. Your turtle may contract the same infection as the sick turtle if it is contagious so any sick turtle should always be kept in quarantine to avoid spreading germs. What are the Signs that Your Turtle or Tortoise Has a Cold? The most obvious signs of a respiratory infection in a turtle or tortoise are difficulty breathing, a decrease in energy, a lack of appetite, swimming lopsided, unable to dive, open mouth breathing, whistling while breathing, and drainage or bubbles coming from the mouth, eyes, or nostrils. Is it Serious if Your Turtle or Tortoise Has a Cold? Yes! A cold or respiratory infection can turn into pneumonia and be life threatening to your turtle. If your turtle goes for more than a few days without being interested in food and and/or is showing any signs of having a cold, it should not be ignored. What Can You Do if Your Turtle or Tortoise Has a Cold? Has my turtle traveled anywhere (i.e. to the vet, new house, etc.)? Did I move the cage? Did the outside temperature drastically change? Second, correct the problems if you find them. If any light bulbs have blown or the air temperature just isn't what it should be inside your turtle’s enclosure, make sure you warm your turtle up. Sometimes, just increasing the temperature in the enclosure will make your turtle feel better until it can be seen by a vet. Increasing the humidity is also helpful in loosening up any debris in your turtle's respiratory tract, just like a humidifier or vaporizer helps you when you have a cold. Be sure to avoid using any human medications for your turtle or tortoise unless you are directed to do so by your veterinarian. Finally, schedule an appointment with your exotics vet since you will most likely need turtle-safe medications to battle an infection. A cytology of any discharge that is seen may be performed to look for an infection, X-rays may be recommended to see if there are any visible changes to the heart or lungs to explain any breathing difficulties, a culture of the discharge may be recommended, and other diagnostic tests may also be discussed. Depending on the severity of the infection, your vet may want to run these and other tests or they may feel comfortable trying antibiotics first. What Can You Do to Prevent Your Turtle or Tortoise From Catching a Cold? You should always monitor the temperatures of your turtle's enclosure. Be sure to check a variety of spots that your turtle or tortoise can get to in the enclosure at different times during the day since they may vary. You may find that at night it gets too cold when the basking light turns off or there is a cool spot in the back of the enclosure because of a draft. Correct any issues you find in the enclosure and be sure to keep your turtle warm whenever it needs to leave it to decrease the likelihood of it catching a cold.